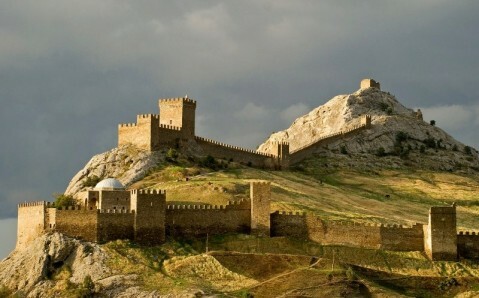 The mighty Genoese Fortress is Sudak's main decoration and one of the most interesting historic and architectural monuments in Crimea. It has perfectly preserved not just its outer look, but also an inimitable medieval spirit and romance. 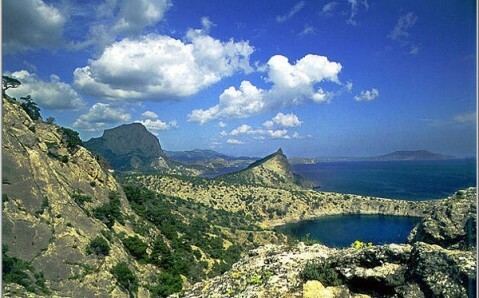 Occupying 30 hectares of land, this unique fortification complex is situated at the ancient coral reef - Krepostnaya Gora (Fortress's Mountain) - that soars in a steep mighty rock over the emerald Sudak's bay. Due to fortunate location and powerful defensive facilities, the Genoese Fortress remained virtually impregnable for enemies without over long time. First fortifications were built here by Byzantines in 6th-7th centuries, but the greater part of preserved buildings refers to the Genoese period. 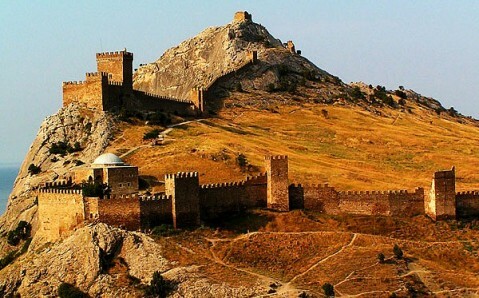 That were the Genoese, who came to Sudak several years later, made it their military base and built a majestic fortress, which castellated turrets later became town's symbol. 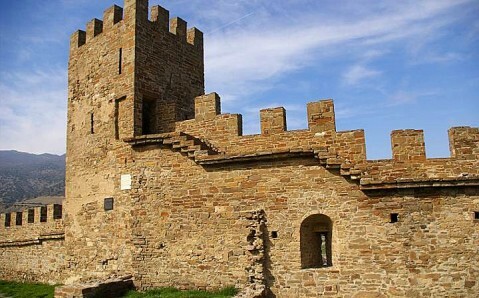 The Genoese Fortress, built in 1371 - 1469 years in the best traditions of West European fortification, was quite a powerful construction for its times. It had two separate lines of defensive facilities: outer and inner. 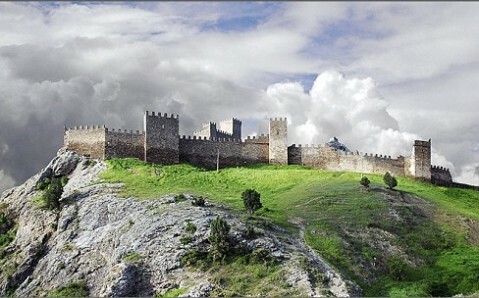 Encircling mountain's northern slopes, the outer one was a complex of 14 towers connected with solid walls and the Main Gates. Each tower possessed the name of the consul who financed it: this is recorded by cast-in slabs with heraldic symbols and relevant inscriptions that remained on some towers. The inner defensive line - the citadel - consisted of four towers, Consul's castle and, separately standing on the Krepostnaya Gora's top, Patrol (or Maiden) Tower, from which only three walls have remained. By the way, the Consul's Castle - the whole complex of buildings - is the most interesting sight of the Genoese Fortress. One more notable building on the Fortress's territory is so called Temple with Arcade. 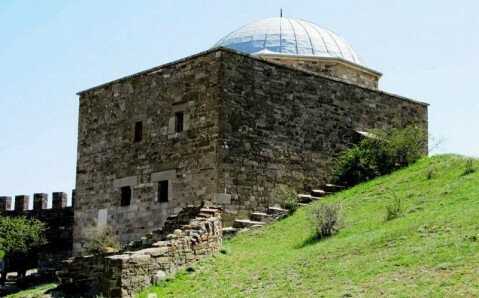 It was initially built as Turkish mosque, then rebuilt into orthodox cathedral by Sudak's Fortress's following owners, and then - in catholic cathedral. Since the late 18th century it sequentially hosted Orthodox Church, German Lutheran Church and Armenian Catholic Church. Today its premises are occupied by historic and archeological museum that has a bulk of interesting exhibits including an ancient plastic ceramics collection, unique collections of photographs and many more. 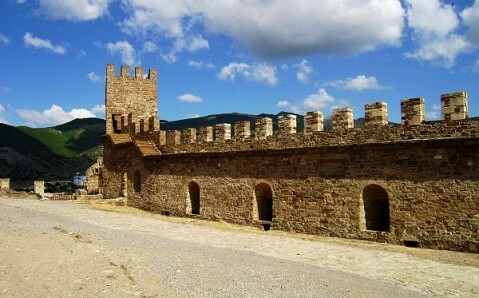 In recent years the Genoese Fortress with its amazing atmosphere has become a backdrop for the festivals of historical reconstruction and knightly skills. Each summer it turns into true medieval coaching inn, where stiddies clatter, swards clang and armored warriors fight. Очень красивый вид из башни! Не поленитесь подняться. За 150 рублей можно на лошади сделать круг внутри крепости. Увлекательная история, хорошо сохранившиеся укрепления крепости, завораживающие виды и морской воздух. Вход: взрослые - 35 грн; дети (7-15 лет) - 20 грн; дети (до 7 лет) - бесплатно, скалолазы и сочувствующие залезают бесплатно справа по крепостной стене (увага - по ночам там шарится охрана). В несезон (ноябрь) билеты продают до 16:00, осмотр крепости- до 17:00. Это и правильно - темнеет стремительно и неотвратимо. Спектр развлечений на любой вкус! Инсценировка рыцарских боев, ремесленная выставка, катание на лошадях! Вы можете лично выковать себе нож или изготовить кувшин на гончарном круге! Здесь каждый камень хранит свою историю и если на один из них присесть, закрыть глаза, то воображение ваше сделает хоть на миг перенесет вас в прошлое;)! В пятницу,видимо,цены поднимаются. Со взрослых берут 50грн. Проезжайте дальше платной парковки, там бесплатно можно запарковаться и идти ближе. Вход 50грн за фото-видео 10грн бывают бесплатные мастер классы. Залезайте на самый верх, там круто! Пройти можно дешевле, если прийти пораньше и заплатить охраннику. 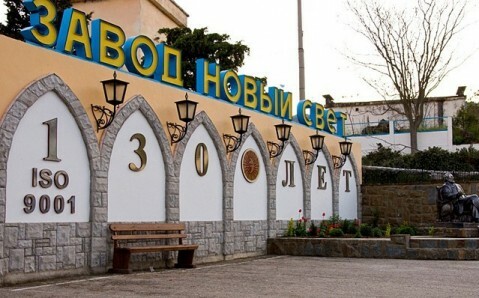 жахливо брудно! 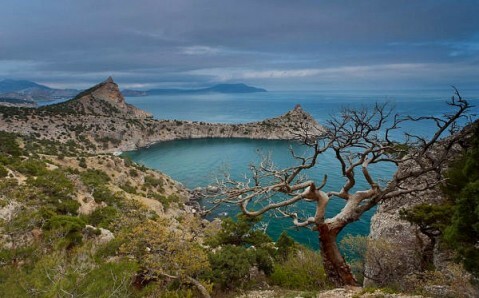 битих пляшок, платикових баклажок — море! невже так важко прибрати за 35 гривень з рила за вхід? Есть что посмотреть часа на три + отличные панорамные виды! Вход: взрослые - 35 грн; дети (7-15 лет) - 20 грн; дети (до 7 лет) - бесплатно.